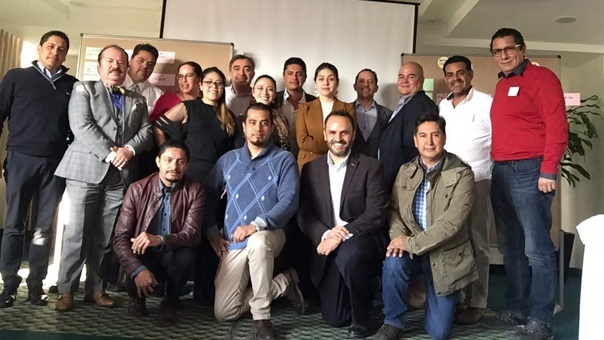 Within the framework of capacity building at the subnational level, the FELICITY global program collaborated with the Sustainable Infrastructure Foundation (SIF) to hold workshops on the SOURCE digital collaborative platform for the Mexico City (CDMX) Government and the municipality of Naucalpan of Juárez. Sixty-six participants took part in the three workshops, 44 percent of whom were women and 56 percent men. The first “training of trainers” workshop was geared towards representatives of different international cooperation agencies such as the Deutsche Gesellschaft für Internationale Zusammenarbeit (GIZ) GmbH, the International Council for Local Environmental Initiatives (ICLEI), the C40 Cities Climate Leadership Group and the World Resources Institute (WRI). 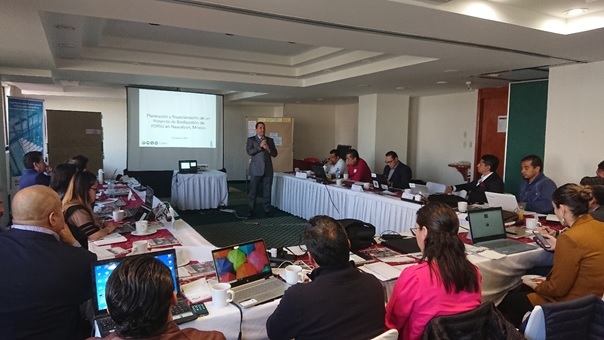 The workshops in CDMX and the municipality of Naucalpan de Juárez were attended by representatives from federal agencies such as the Ministry of the Environment and Natural Resources (SEMARNAT), the Ministry of the Environment (SEDEMA), the National Commission for the Efficient Use of Energy (CONUEE), the Ministry of Finance and Public Credit (SHCP), the Ministry of Energy (SENER), the National Bank for Public Works and Services (BANOBRAS) and representatives of the municipal government of Naucalpan. 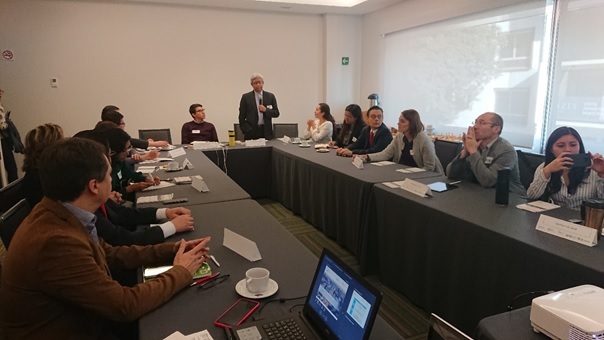 The workshops were held from February 5 to 7, 2019; during the three days, participating institutions learned more about the purpose of the FELICITY global program in Mexico and the opportunities it creates for the preparation and structuring of investment-grade low-carbon infrastructure projects. 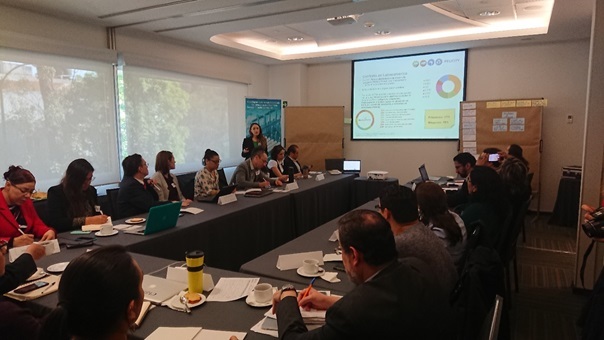 GIZ adviser Itzel Alcérreca also discussed the projects supported by FELICITY. In addition, Cedric Van Riel of SIF gave a virtual presentation about the digital platform, discussing the application of a case study on the platform; he explored the platform’s tools and features in detail and explained how participants can use it to collaboratively develop their projects. Photo: GIZ. Itzel Alcérreca during her presentation on the FELICITY Global Program in Mexico City. To conclude the workshop, participants completed an evaluation of the training, the results of which were satisfactory. FELICITY is an initiative implemented by GIZ, with the support of the European Investment Bank (EIB) and Germany’s Federal Ministry for the Environment, Nature Conservation and Nuclear Safety (BMU), that provides technical assistance in the development of low-carbon infrastructure projects in cities. SOURCE is a project development platform designed to help projects, from their conception, establish contact with possible funding sources; it is financed and led by Multilateral Development Banks (MDBs) in response to the G20 to address the global infrastructure gap. It is currently used in 44 countries, with approximately 200 projects under development and more than 1700 users. Photo: GIZ. The project workshop group in Naucalpan. For more information, consult the GIZ-FELICITY and SIF-SOURCE websites. These actions promote the development of projects and financing for low-carbon implementation that contributes to international climate commitments.